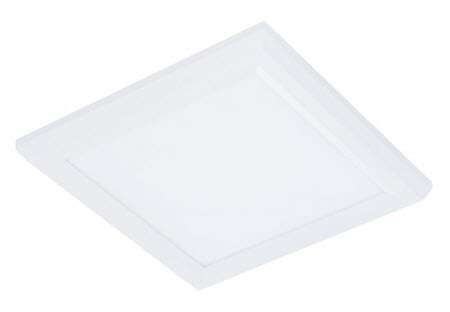 Westgate LED 1x1 surface mount panel light fixtures with 18 watt 3000K are made to create a wide area of light in an office lighting situation. You can mount these on almost any surface, making it one of the most flexible light sources to cover a myriad of lighting applications. The light itself is post-painted so the edges aren't so sharp, that makes them electrical contractor friendly and easy to install. This is probably the most basic types of surface mount light fixture that they could be used almost anywhere whether it was an office, or even a home lighting situation. The acrylic alliance will bring even lighting throughout the space and breaks up the type pattern of the LED's. The lamps are included and so you won't have to change anything for many years to come. It does give you the flexibility of changing lamps in the future if energy efficiency gets even better or possibly you want to change color of the light in the space. It gives you the ultimate flexibility in a surface mount light that can change with you down the road. You'll also get a choice of wattage and that depends on how many lamps you choose. You also get a choice of color, anything from 3000K to 5000K making it possible to adapt to any interior space that you have. Keep in mind that 5000 K is like outside daylight and it is very bright and white. The lower color temperatures have a little more of an incandescent color. 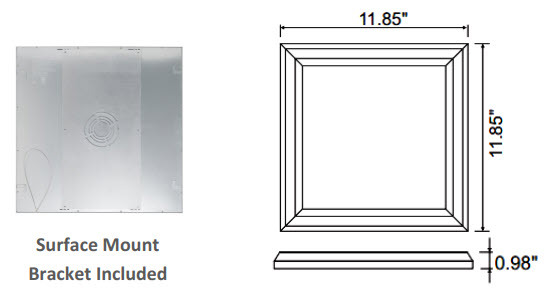 This is great for any energy saving project you have when you don't happen to drop grid ceiling and you need to mount it directly to a service.